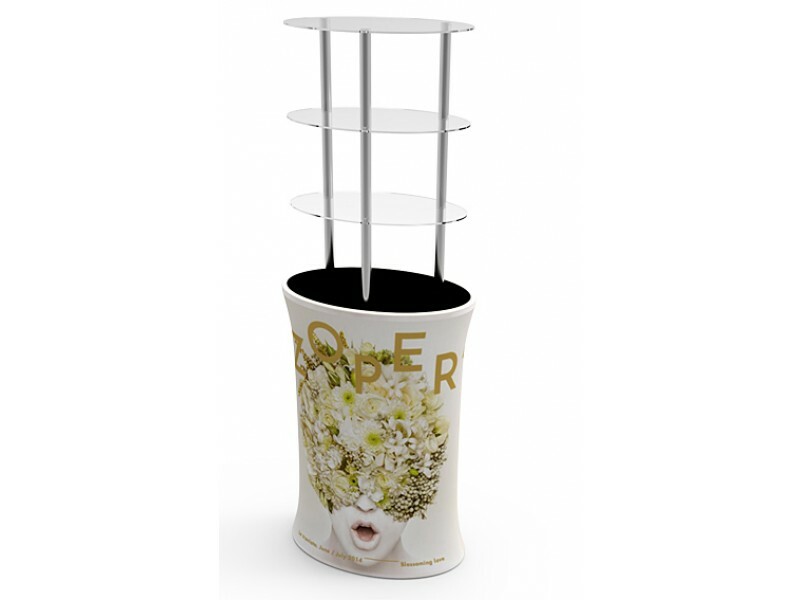 The Display Stacker is an affordable and chic way to keep your booth neat and tidy while having plenty of display space. 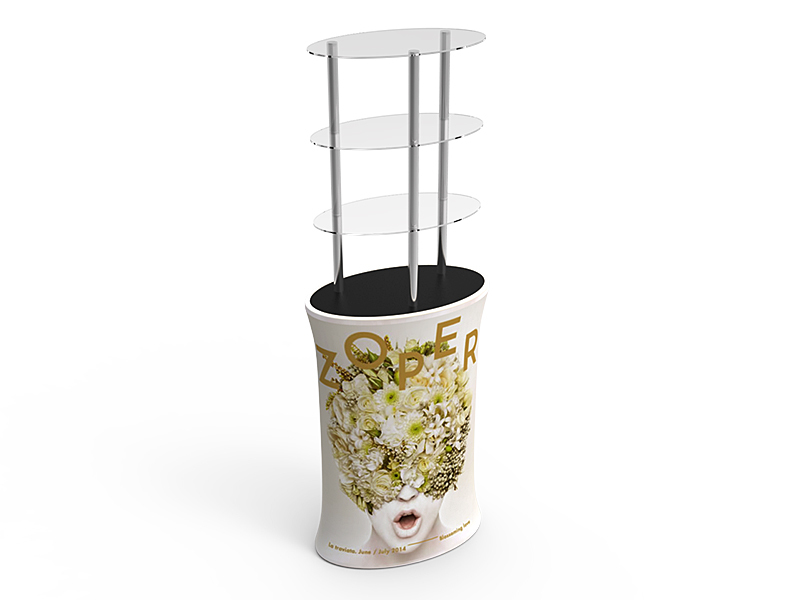 It’s built in-house with sturdy aluminum tubing & graphic space to promote your brand as well as 3 tiers to display your products. Great as a stand-alone piece or combined with our other displays, this counter is an asset to any trade show booth. All components fit neatly into a carrying case for easy transport. The case meets airline guidelines for check baggage. Please check with your carrier for specifics. Rectangular / Triangular / Oval shape available. Oxford Carrying Bag & Outer Carton.